Earl A. Miller, 82, of Georgetown (Greene Twp. ), died Wednesday morning, January 23, 2019, at Brighton Wellness and Rehab Center, Brighton Twp. Born February 11, 1936, in Hookstown, he was a son of the late Lawrence W. and Margaret (Hughes) Miller. He was an avid farmer and collector of International tractors and had worked at the Riverview Cemetery, East Liverpool, Ohio. In addition to his parents, he was preceded in death by an infant brother, George Miller, and two sisters, Mary Stewart and Velma Goddard. Surviving are his wife of 64 years, Wilda P. (Church) Miller; his children and their spouses, Barbara and Rich Waters, Hookstown; Tom Miller, Georgetown; Deborah and Myron Elliott, Hookstown; and Ron and Donna Miller, Georgetown; brother of Helen Miller and Sarah and her husband Paul Cusick, all of Ohio; five grandchildren; and ten great-grandchildren. Family and friends are welcome to attend a memorial service Saturday, January 26, 2019, at 10 a.m. in the Hookstown Free Methodist Church. The Rev. Wilmer J. Olszewski will officiate. 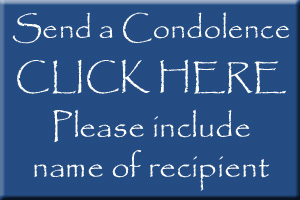 Professional services are provided by MCCONNELL FUNERAL HOME, 447 Pine St., Hookstown, PA 15050.